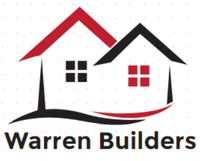 Family Fun Night - Feb 9, 2019 - Builders Association of Central PA, PA ? Is cabin fever getting to you? 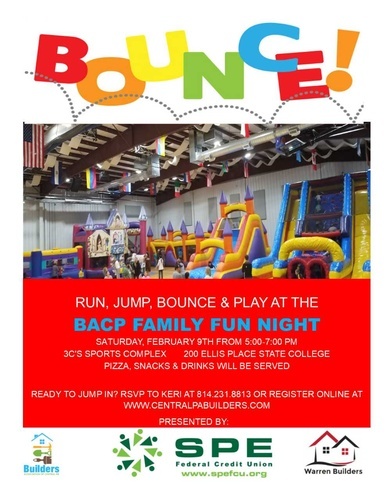 Get ready to run, jump, bounce & play the evening away at the BACP Family Fun Night. Join us for unlimited bouncing, pizza, snacks and drinks at 3C'S Sports Complex. Please contact the BACP office at 814.231.8813 or koshea@centralpabuilers.com with any questions about this event or for more information.